I was thrilled to deliver a keynote - alongside design icon Jenny Kee - in the Blue Mountains this June, at MTNS MADE Creative Industries Symposium. The event ran June 24–25 in Leura. What are the artistic, creative, technological & research possibilities presented by the #quantifiedself ? What are the social & ethical implications? Who owns your data? What does your biometric data allow you to do for your own health, wellbeing & life? What are the possibilities for medicine, epidemiology, and policy? Rachel Kalmar: a California-based data consultant, formerly data scientist at Misfit wearables and famous for wearing large numbers of sensors. Jon McCormack: Director of sensiLab and Professor at Monash University’s Faculty of Information Technology. Suneel Jethani: PhD candidate and lecturer at the School of Culture and Communication, University of Melbourne. The event is on Wednesday May 4, and is free on registration, here. 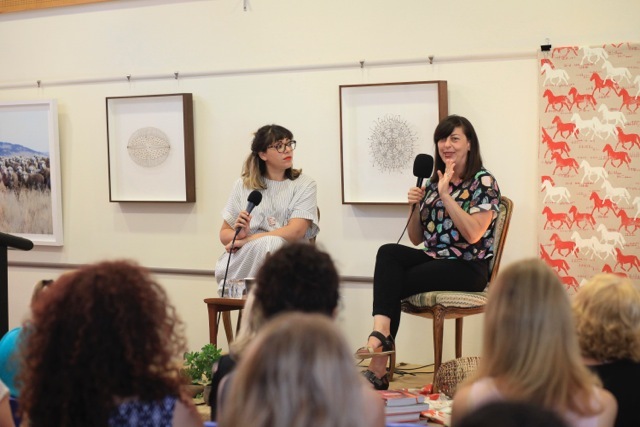 I had the pleasure of hosting a conversation with super-designer Liane Rossler as part of In Conversation: Creative Women at North Sydney Community Centre, on Saturday March 5. 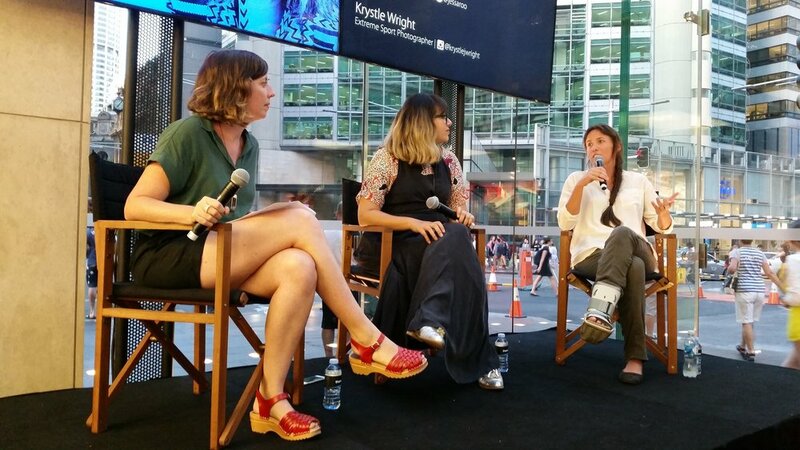 I spoke at the Apple Store, Sydney on Tuesday March 8, 7pm, at an event called So You Want To Be A Creative Entrepreneur. Thanks to Perla Escalon and Jo Chan for the photos. I participated in the inaugural Women In Design conference, presented in Launceston by Design Tasmania, from July 24 - 26. How we can sure the discipline of design reflects the diversity of practitioners? I had the absolute pleasure of giving the keynote speech at the NSW Young Womens Leadership Seminar at NSW Parliament in October 2014, to this room full of incredible young women. They're all leaders in their schools and communities (and I could tell, because I have never seen so many badges on blazers!) and they were one of the most inspiring and exciting audiences I've ever spoken to. It was so wonderful to meet them all, and I can't wait to see what they all do. Some of them asked for my speech (which is about my career/journey/advice to them), so here it is... presented without all the shout-outs and detours and LOLs we had in the room. An enormous thank you to Rita Bila for inviting me to take part. You've made my year.